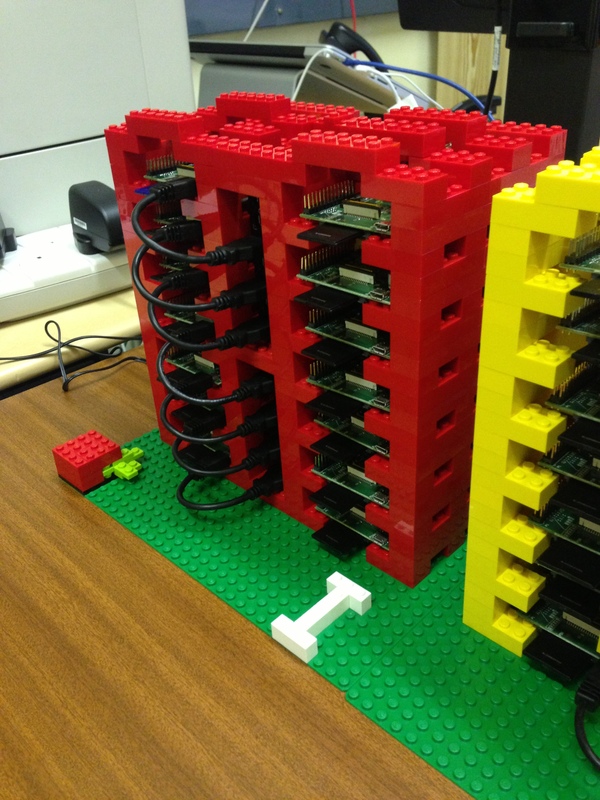 We have four racks containing 14 Raspberry Pi’s each, actually composed of two adjacent towers. In between the towers are two USB hubs. The design is such that the front provides access to the SD card slot and micro-USB power supply, so we can easily change SD cards and reset the Pi’s. 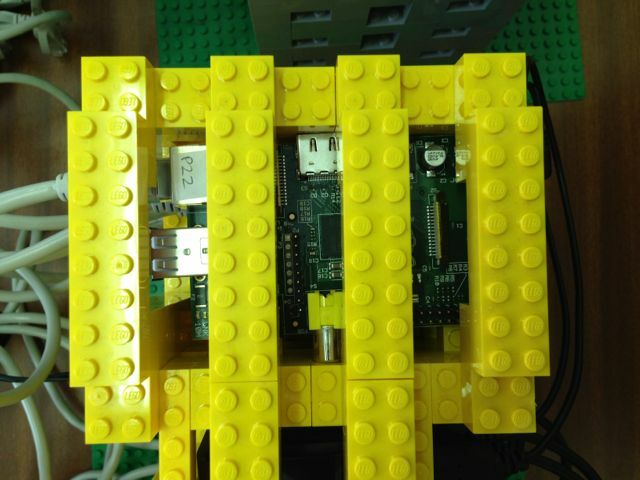 We can also slide the Pi’s out, which is incredibly useful as we tend to be cannibalising Pi’s quite often, or else swapping them around for testing. The back of the racks has space to reach the ethernet port, and each rack has a dedicated Netgear GS116E switch. 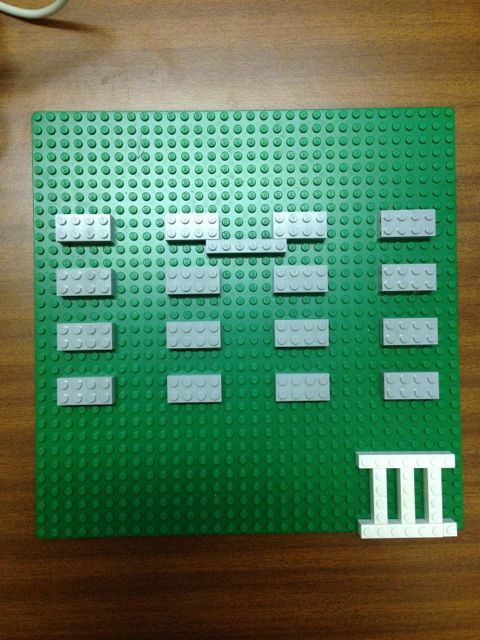 Each rack sits on a green 32 by 32 stud (25cm x 25cm) Lego baseplate. 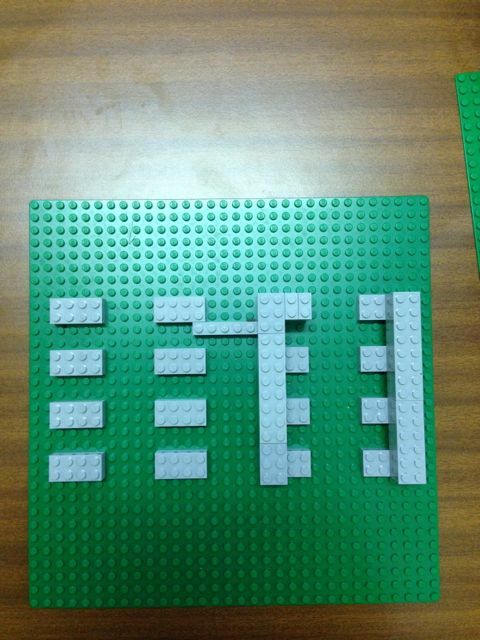 Ten studs worth of space is left in front of the rack, and eight studs at the back. There’s a gap of two studs either side of the rack. 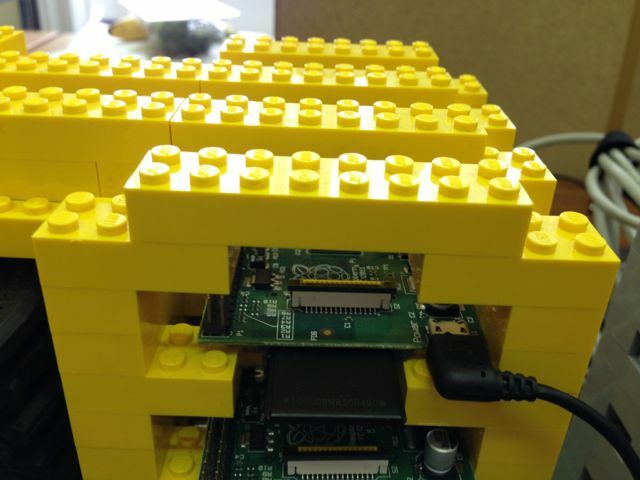 For the most part, the towers follow four simple layers of Lego, corresponding to a snug fit for a single Raspberry Pi. The only exceptions to these layers are (a) connecting structs between the two towers to hold them together and (b) the top of the racks, which are frankly all of differing design depending on the academic or student that built them! 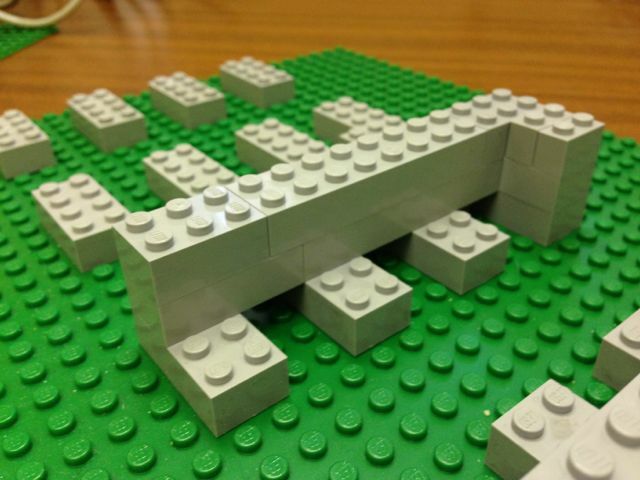 Particularly as the available Lego ran out, the designs became more improvised. 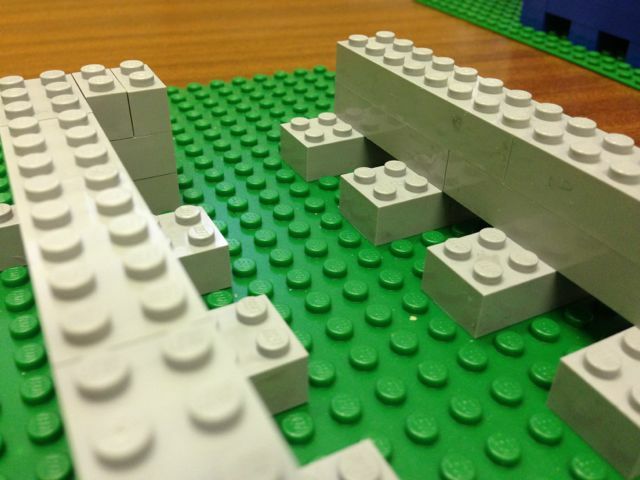 So here I’ll just show the three layers that make up the towers and a few examples of the improvisations people chose. Bits and pieces like the baseboards we just ordered from the usual suspects. Hope that’s of use! ah great! Yeah, I just need to go buy toys. 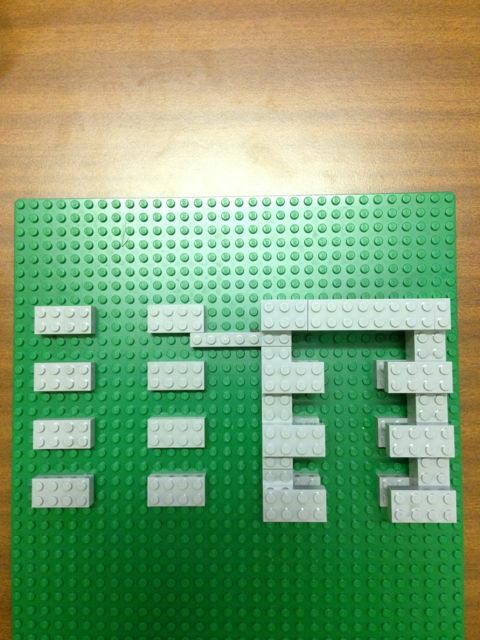 Haven’t had a set of Legos for awhile!